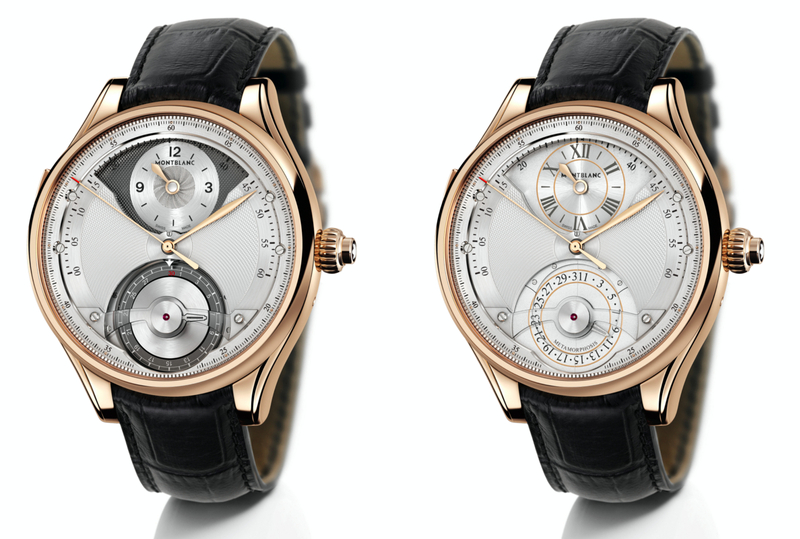 A watch with two faces, the Montblanc Metamorphosis II transforms from one dial to another in five seconds, going from showing the chronograph to a date display, driven by an extraordinarily complex mechanism with nearly 500 parts. Unveiled a few years ago as the TimeWriter Metamorphosis, Montblanc has revamped the timepiece to create the Metamorphosis II. 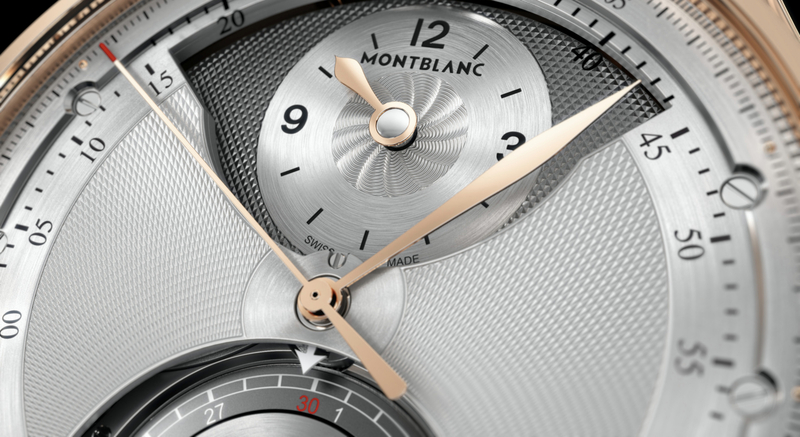 It has been given a more restrained, classical aesthetic with a silvered guilloche dial. The movement, however, remains the same, utilising a mechanism similar to that of a minute repeater to power the transforming dial. 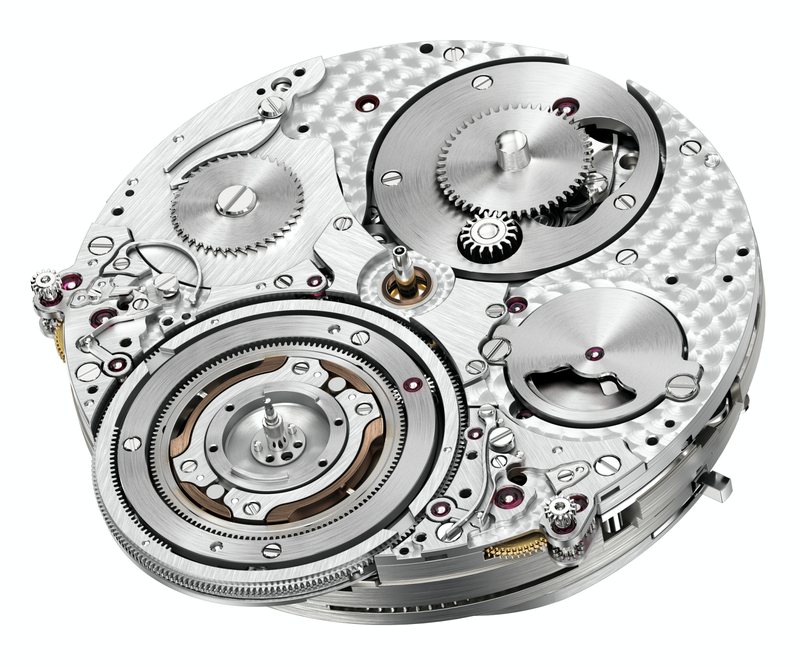 It is an enormously complex module built on the MB 67.40 chronograph movement. Most of the movement’s constituent parts, 494 of 746, are for the transforming mechanism. Originally designed by a pair of watchmakers but delayed several years due to difficulties in production, the Metamorphosis movement is complex but functions on a simple principle. 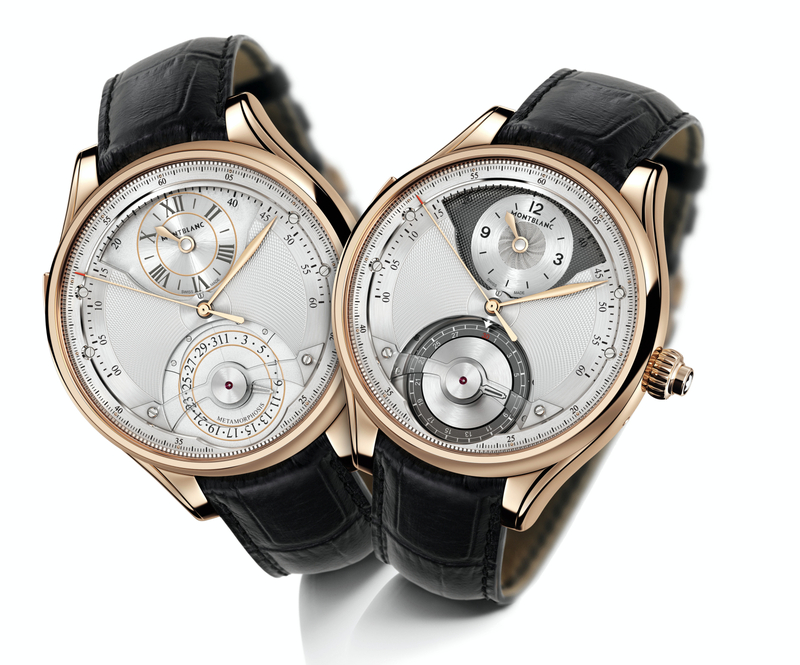 Pushing a slide in the case winds up a small spring which then drives the dial transformation, with wings that open and close to reveal different functions. When the wings are closed, the sub-dial at six shows the date, and once activated the wings retract under the dial to show a chronograph, with the chronograph sub-dial rising up at six o’clock. 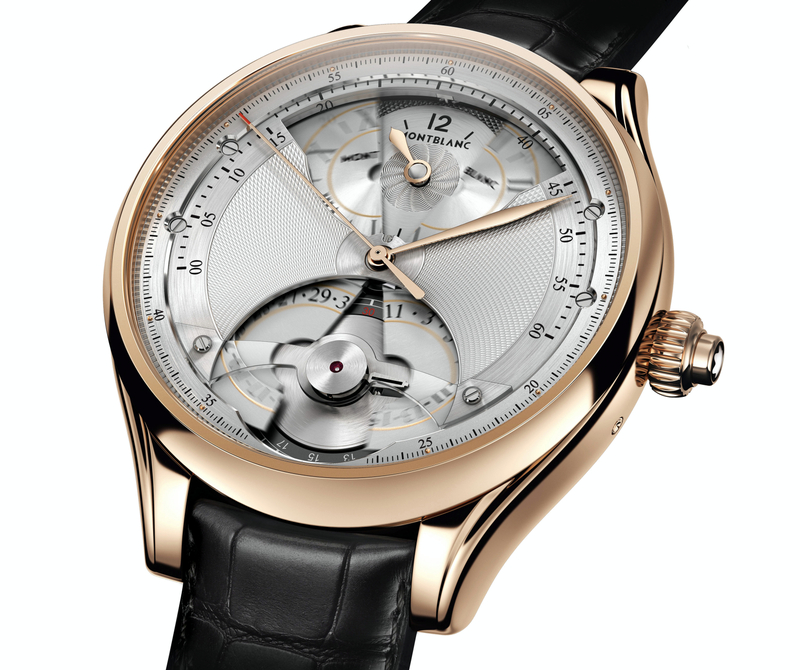 Once that happens the central seconds goes from being a constant seconds to the elapsed seconds hand of the chronograph. The transformation takes just five seconds. Regardless of the state of the dial, the date and chronograph functions continue to run as they should. So if the date is shown on the dial, but the chronograph is left running, once the chronograph is revealed it will show the correct elapsed time. The time is displayed regulator-style, with the hours in a sub-dial at 12 o’clock, with minutes on a retrograde scale on the main dial. The minute hand travels from eight o’clock to four o’clock before jumping back to zero. This video illustrates the function of the TimeWriter Metamorphosis, which works exactly the same as the Metamorphosis II. Beyond the dial, another major change is the case design. The Metamorphosis II has a 52 mm round case, unlike the odd shape of the first model, which had an oval form with a bulge at six o’clock. The Metamorphosis II is priced at 404,800 Singapore dollars, equivalent to US$317,000.